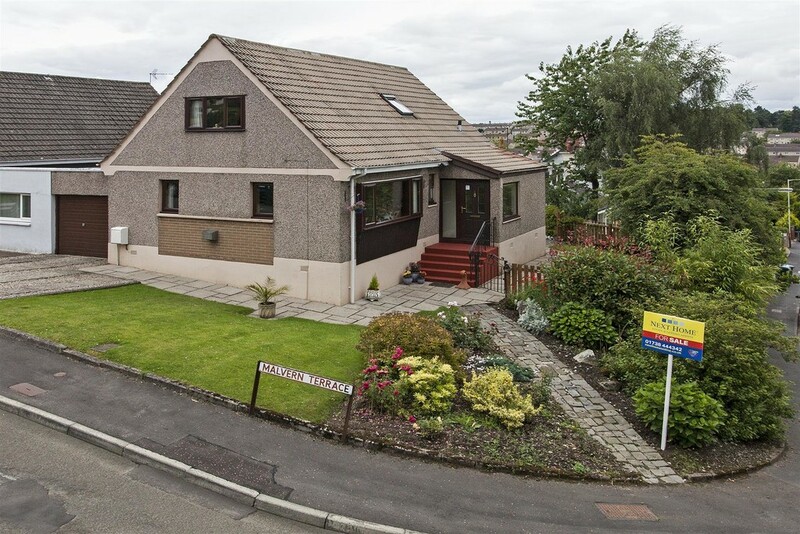 ** HOME REPORT VALUES AT £245,000 ** A well proportioned THREE BEDROOM DORMER BUNGALOW which is located within a popular family orientated residential area close to primary and secondary schools in Oakbank. 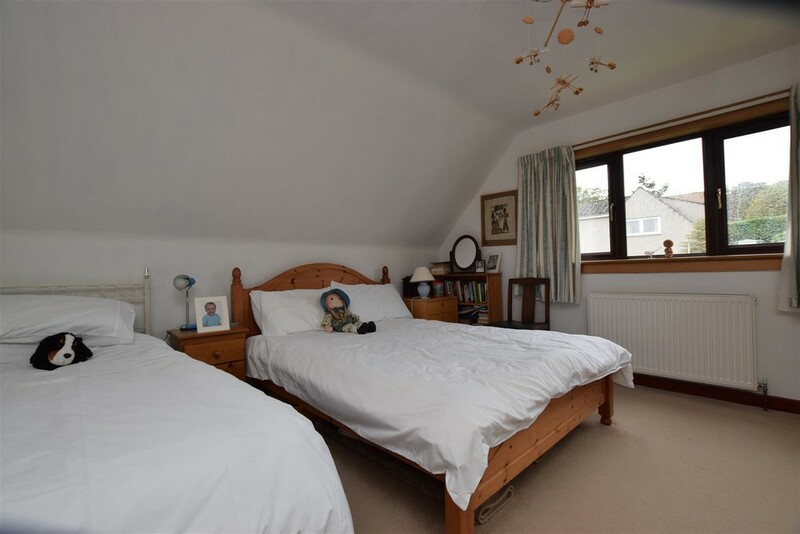 The property comprises entrance hall, kitchen, dining room, lounge, three double bedrooms (master en-suite) and a family bathroom. 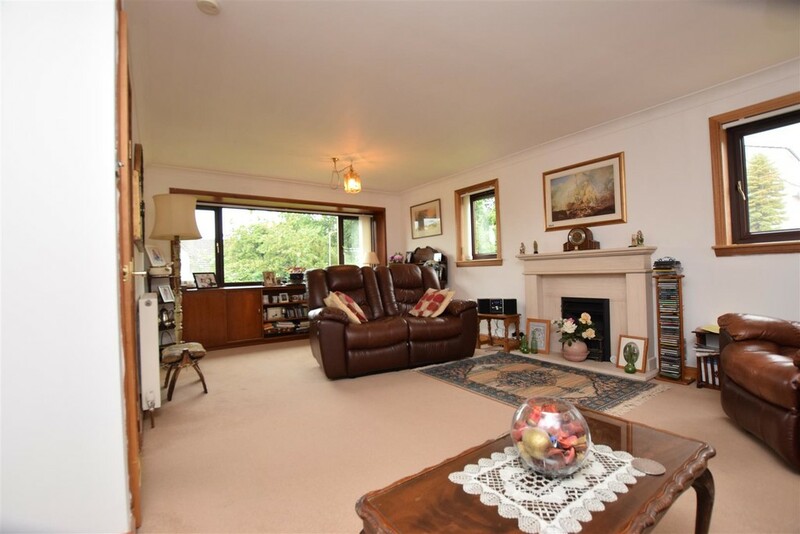 There is double glazing and gas central heating throughout. 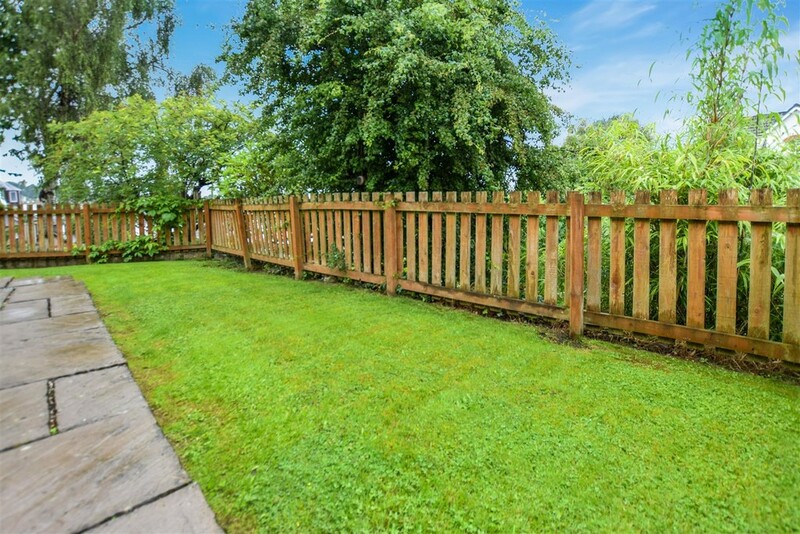 Wrap around gardens stretching to three quarters of an acre with large driveway providing ample parking. The property is very cost effective to heat with eco friendly and energy saving systems which have helped considerably to reduce the overall energy consumption such as the solar panels located on top of the garage which are linked to an Imersun hot water system and a zoned heating system which is controlled by touch screen and smart phone apps when away from the home. Two wood burning stoves have been fitted in the main public rooms, which heat either end of the house. 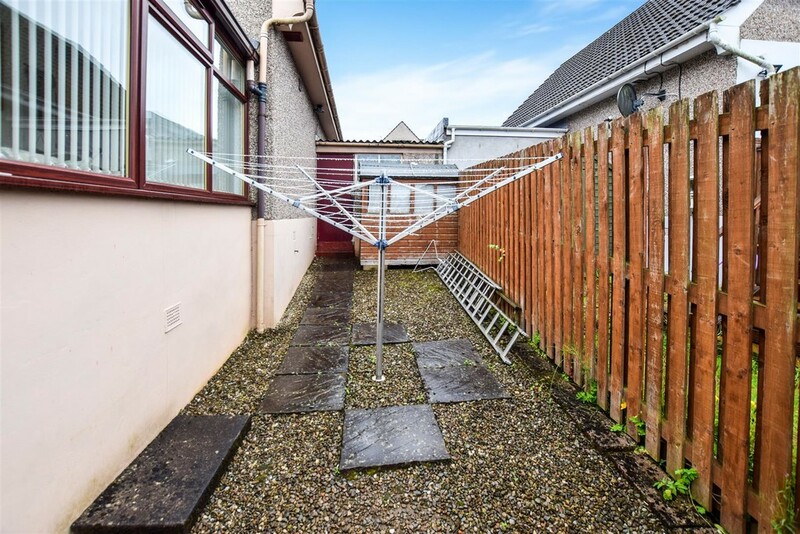 EPC Rating C.
AREA Located within a popular family orientated residential area close to primary and secondary schools which are within walking distance from this property. There is a local convenience store and post office in Oakbank. 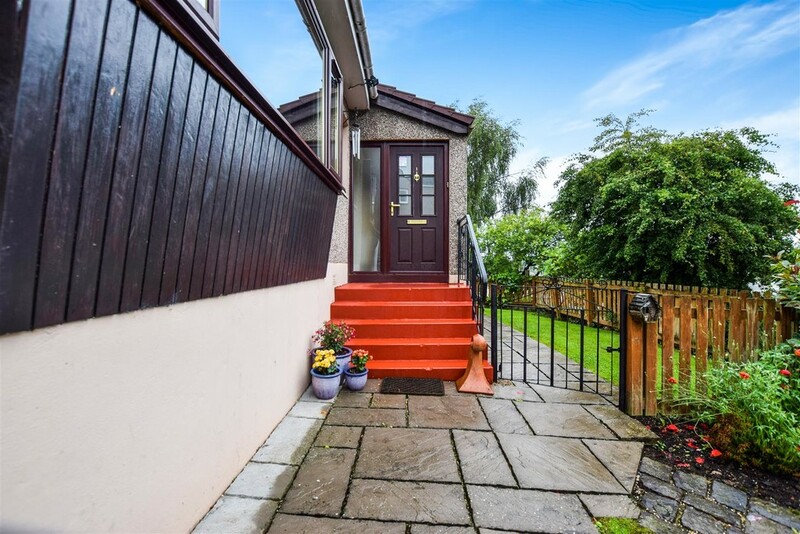 The property is situated on a regular bus route and a short car journey takes you into the City Centre of Perth and beyond. Easy commuting via the Broxden roundabout to all motorway links to the major cities within the central belt of Scotland. Perth City Centre offers many independant retail and leisure amenities which include High Street shops, restaurants, cafe quarter, two parks, cinema, conference centre, railway station and hospital. The leisure facilities include Bell's Sports centre, Leisure pool and Dewars Ice rink. Perth is central within Perthshire and therefore offers many outdoor pursuits close by with golf, walking, fishing, skiing in the winter being within easy travelling distance. Entrance Porch 2.11m x 1.50m (6'11" x 4'11") Enter this property through a front door with glazed panels into the porch. Radiator. 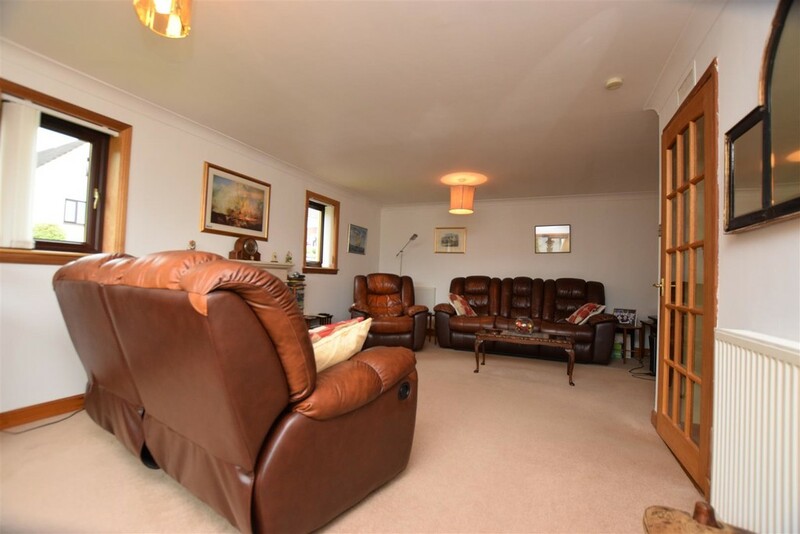 Entrance Hall 3.48m x 2.11m (11'5" x 6'11") A wide and welcoming entrance hall that provides access to all accommodation within this property. Carpet. Radiator. Neutral decor. Wooden staircase to upper floor. Storage cupboard. Shower Room 1.88m x 1.50m (6'2" x 4'11") Fitted with a white suite that comprises of a W.C. pedestal wash hand basin and corner shower enclosure which is fully tiled. Neutral decor. Rear facing opaque glazed window. Tiled effect vinyl flooring. Extractor fan. 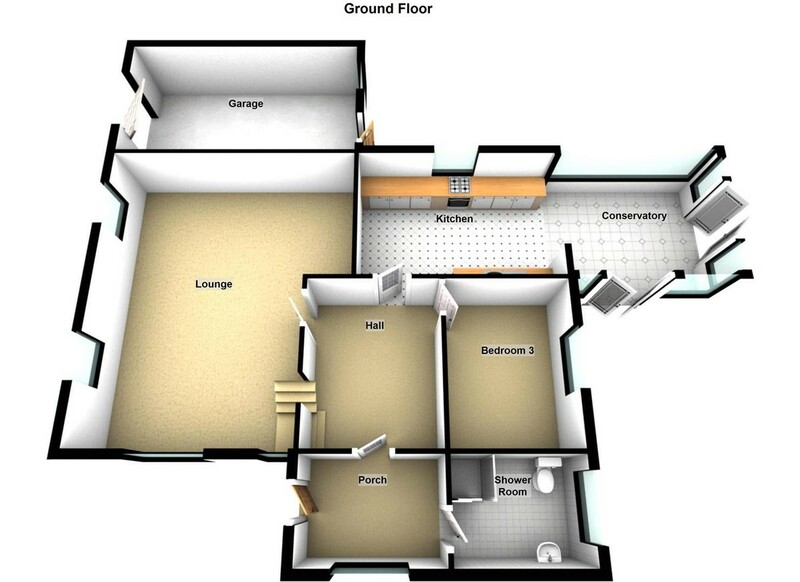 Lounge 6.45m x 4.57m (21'2" x 15') A spacious reception room with ample floor space for all free standing occasional furniture. 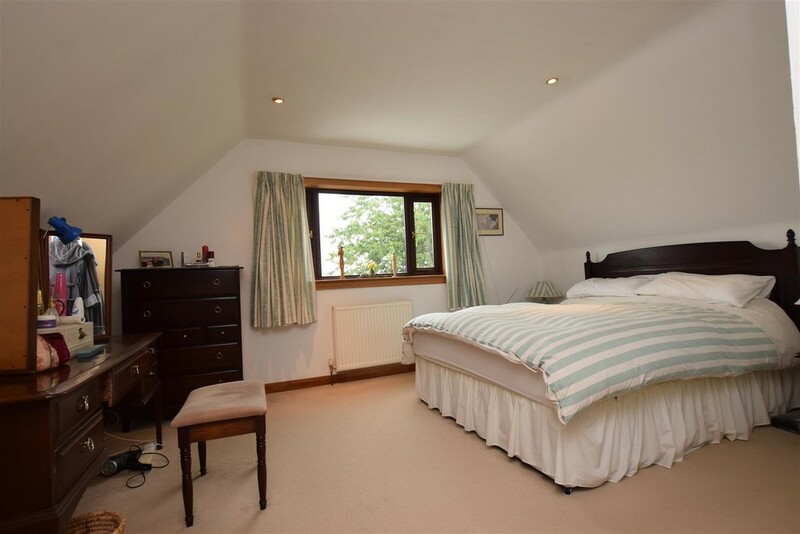 Ample natural light from dual aspect windows with one to the front and two windows to the side of the property with lovely views over the surrounding area and beyond. Neutral decor. 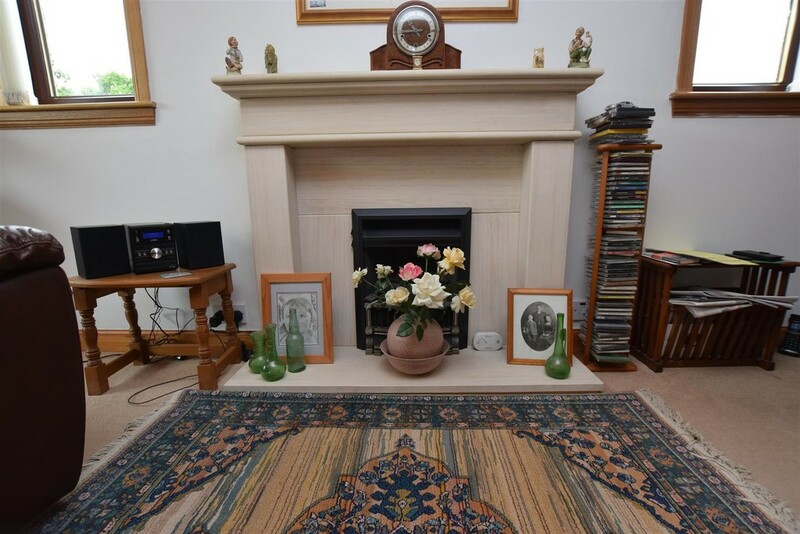 Feature fireplace with a gas fire fitted. Two radiators. Internet and Television point. 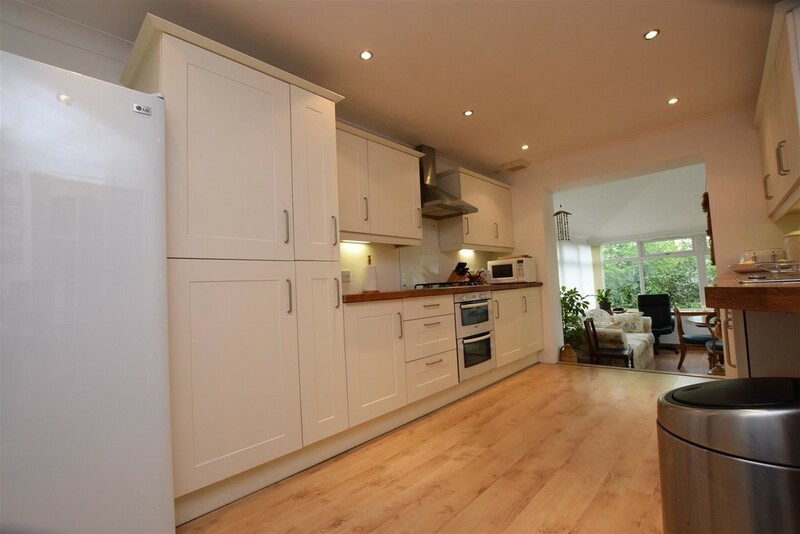 Kitchen 4.95m x 2.87m (16'3" x 9'5") Fitted with a range of contemporary wall and base units with solid wood work surfaces. Integrated washing machine/dryer and dishwasher, double oven and grill with a four ring gas hob with extractor hood over and a glass modern splash back. Stainless steel 1 1/2 bowl sink and drainer with built in waste disposal unit. Space for a free standing American style fridge freezer. Wood effect laminate flooring. Neutral decor. Down lights. Extractor fan. Radiator. Open access to the conservatory. 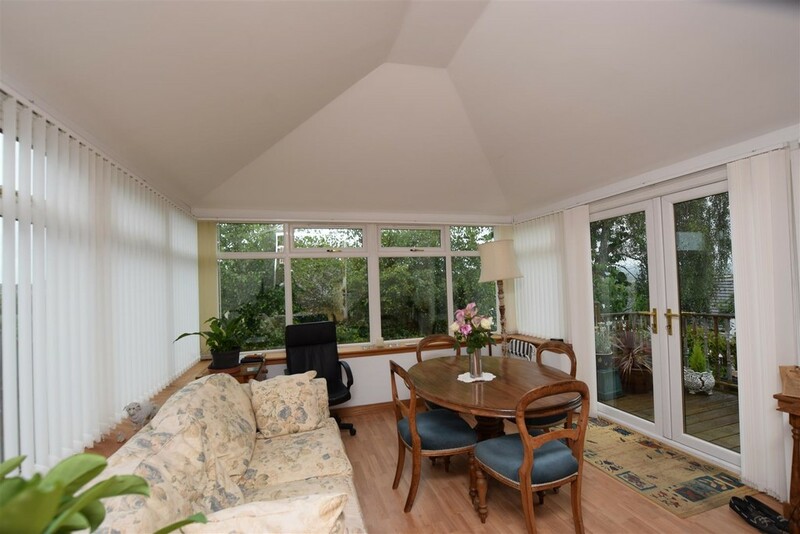 Conservatory 4.09m x 3.91m (13'5" x 12'10") A bright and relaxing room with ample natural light from surrounding windows. 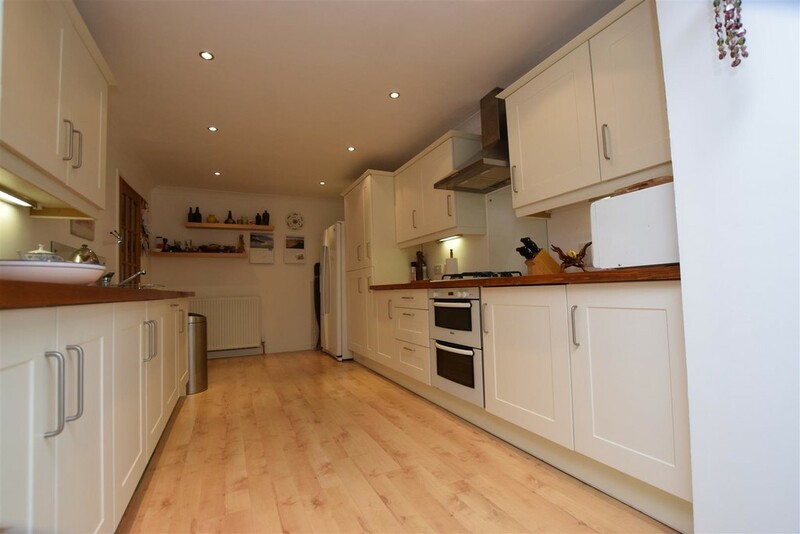 The wood effect laminate flooring flows through from the kitchen. Radiator. Double french doors to the rear garden decked area. Landing 1.83m x 0.91m (6' x 3') Wooden staircase with carpeted treads to the upper floor accommodation. Double panel radiator. Neutral decoration. 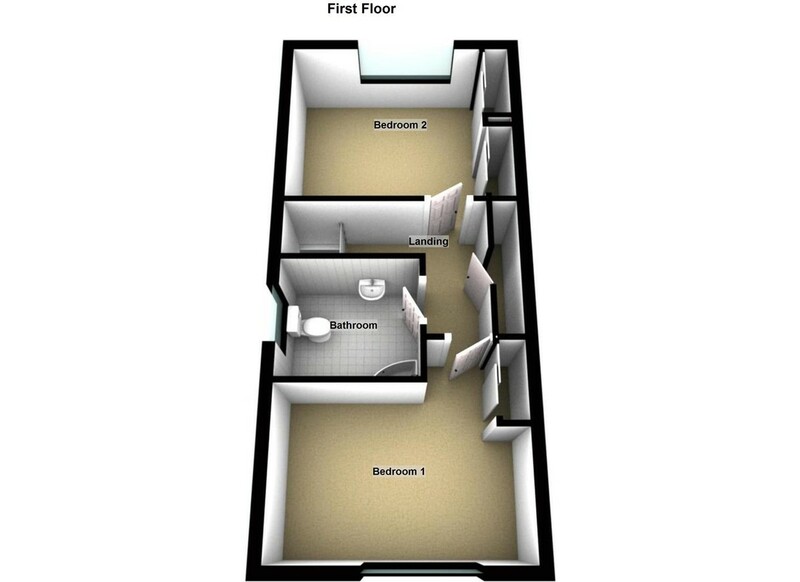 Master 4.34m x 4.09m (14'3" x 13'5") A large double bedroom with plenty of room for free standing bedroom furniture. Ample light from a back facing window. Neutral dÃ©cor. Carpet. Ceiling cornicing. Double panel radiator. built in wardrobe. 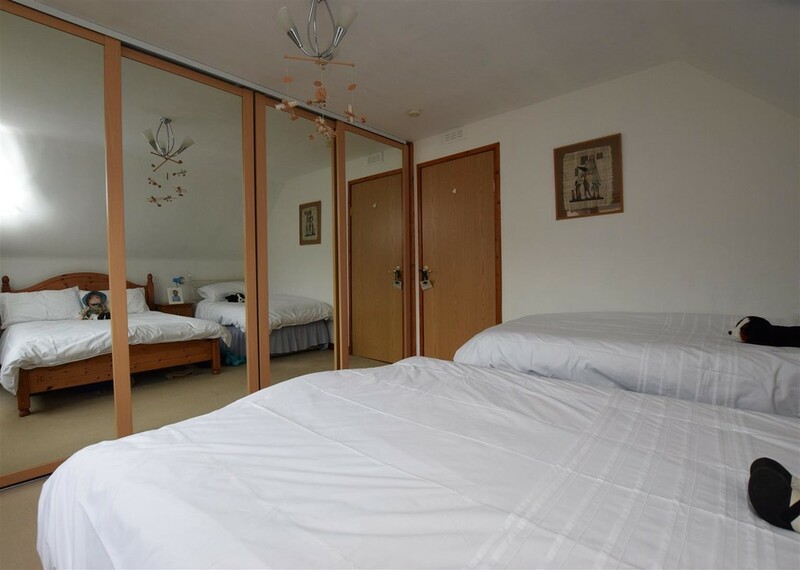 Bedroom Two 3.84m x 3.25m (12'7" x 10'8") Another spacious double bedroom with plenty of room for free standing bedroom furniture. Ample light from a front facing window. 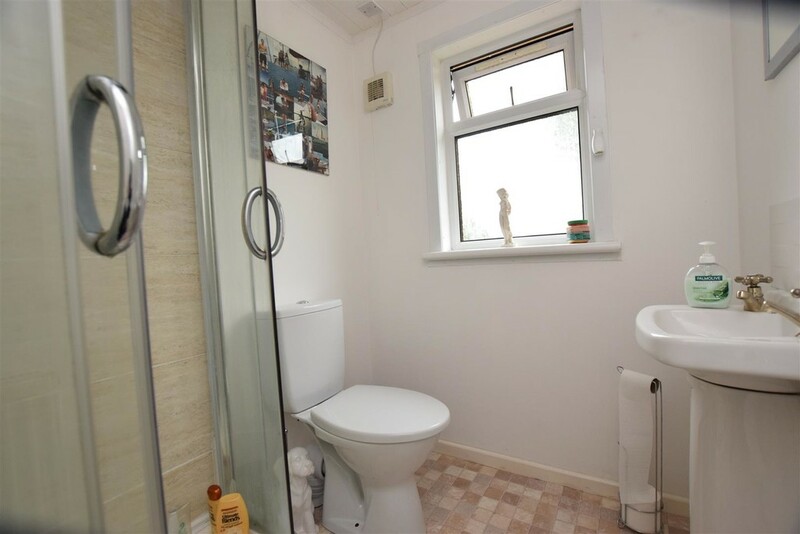 Built in wardrobe full length of the room. Neutral dÃ©cor. Carpet. Ceiling cornicing. Double panel radiator. 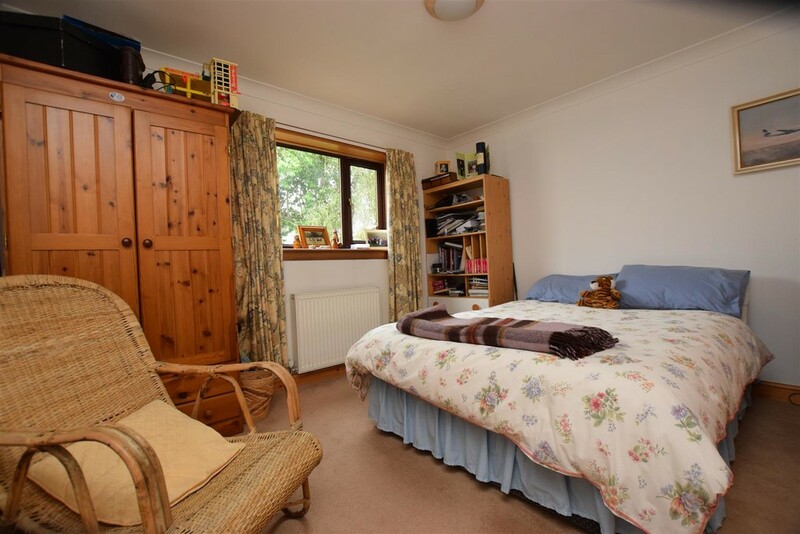 Bedroom Three 3.51m x 3.02m (11'6" x 9'11") A ground floor double bedroom with a built in single wardrobe. rear facing double glazed window. Neutral decor. Ceiling cornicing. Carpet. Radiator. 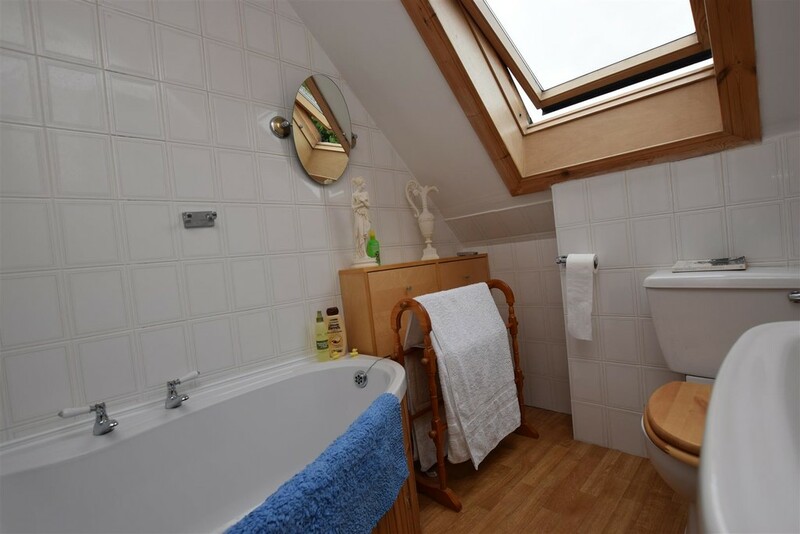 Bathroom 2.21m x 1.78m (7'3" x 5'10") Housing a three piece suite in white comprising W.C., Wash hand basin and Bath with wood paneling to the sides. Wood effect vinyl flooring. Tiling to walls. Velux window providing natural light and ventilation. External To the front of the property the garden is laid to lawn with planted boarders and paved path leading from the Kerb to the door. There is a gravel driveway leading to the integral single garage. At one side of the property there is a a gravel area with a rotary clothes dryer. 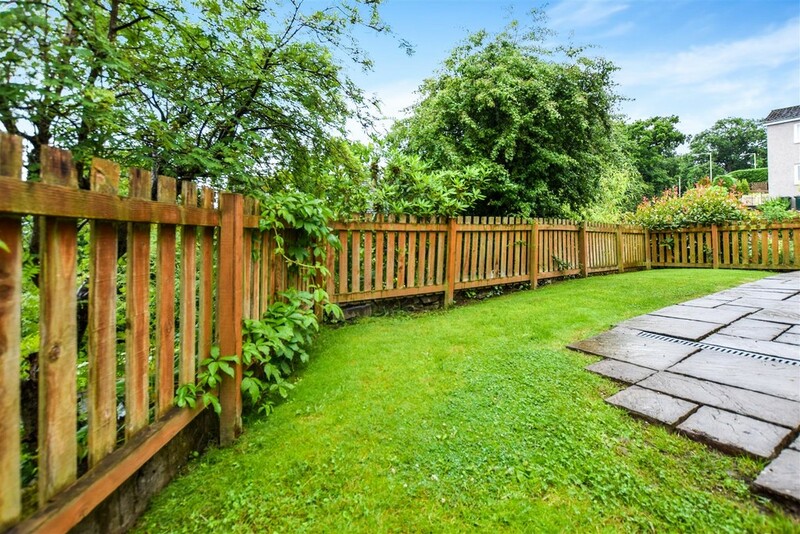 The side garden is mainly laid to lawn and is enclosed by timber fencing, with a decked area perfect for enjoying the sun in the summer months.